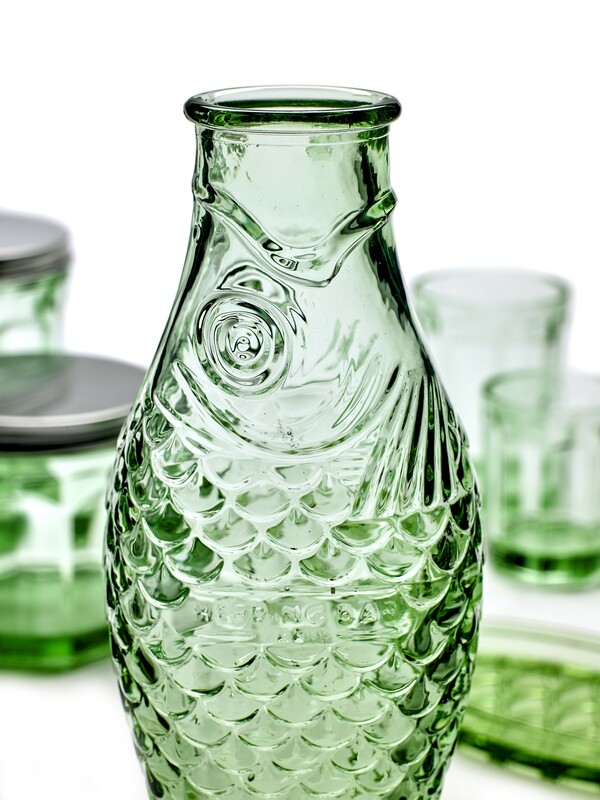 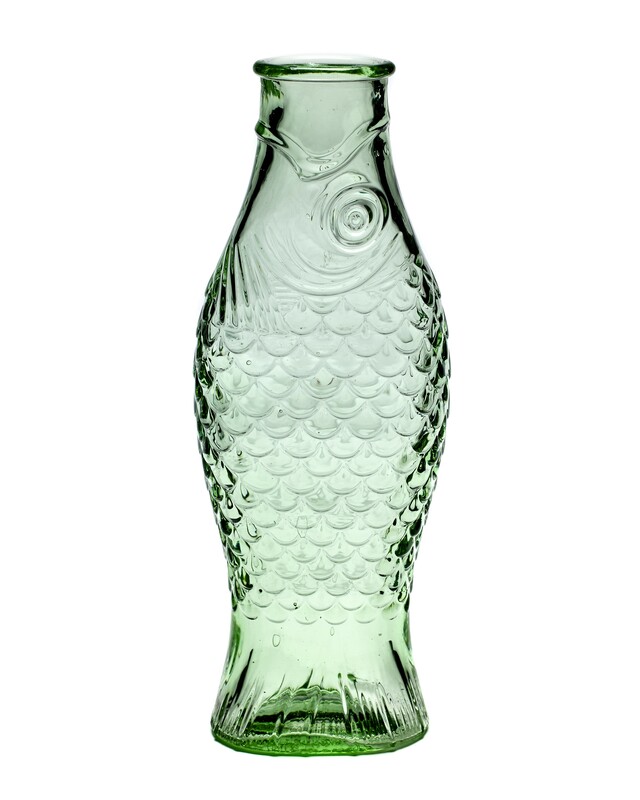 The Italian designer Paola Navone created the Fish & Fish collection. 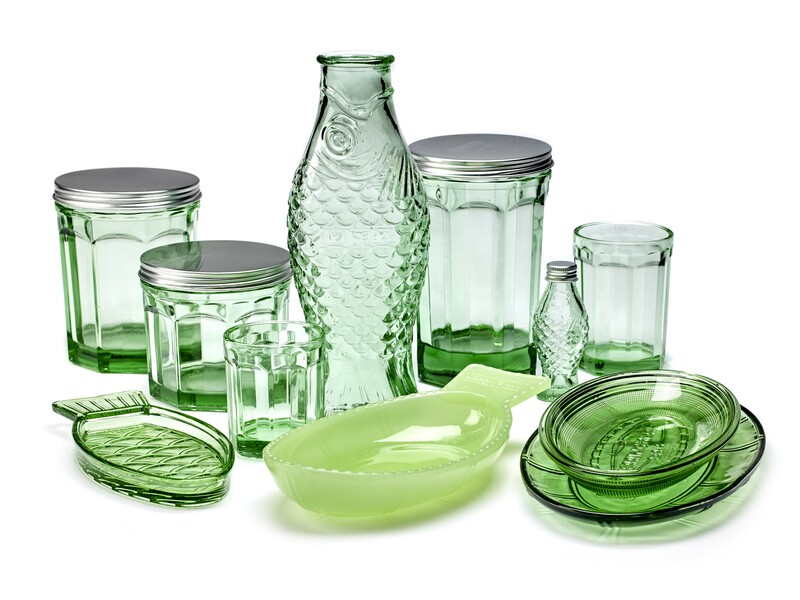 She is inspired by her many travels and dinnerware from the Thirties. 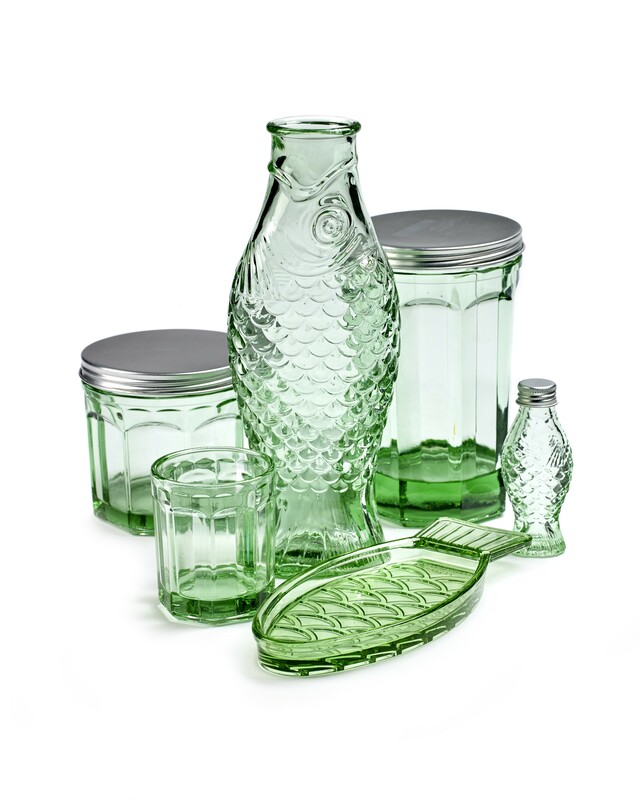 These bottles are made of pressed glass, making them sustainable and affordable. 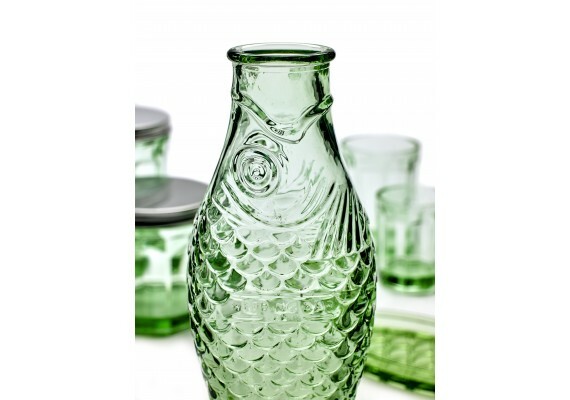 They can be used as a vodka carafe and bottle or as a water jug. 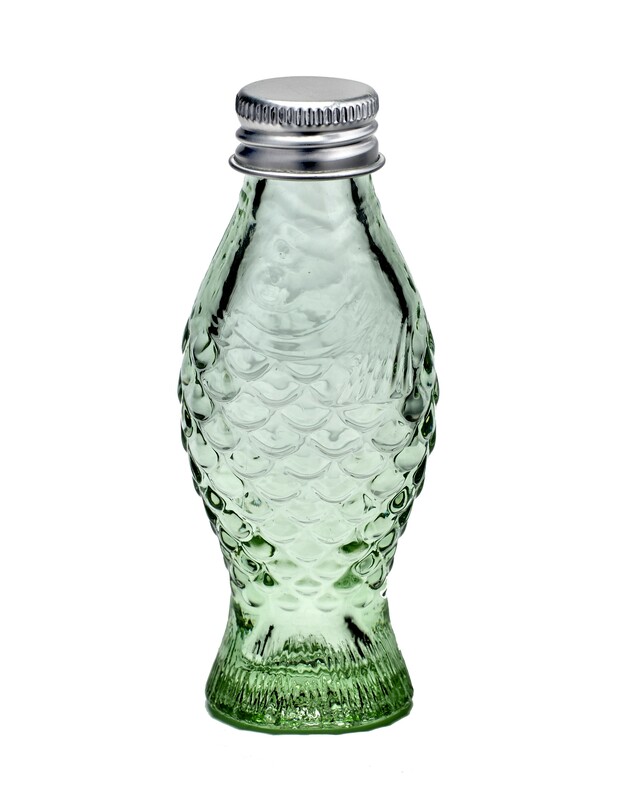 You can use the small bottles as a cruet set, they will look nice on your table.